Doors will open at: 6:30pm. 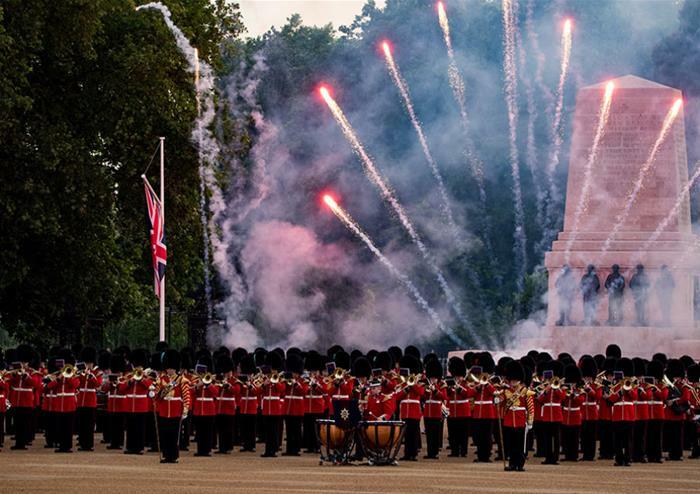 The Household Division’s Beating Retreat offers a sensational evening of tradition, music and military precision drill with horses and cannons. Located at the iconic Horse Guards Parade in London with the beautiful St James’s Park in the background, you’ll get to take in wonderful views and be entertained the whole night long. 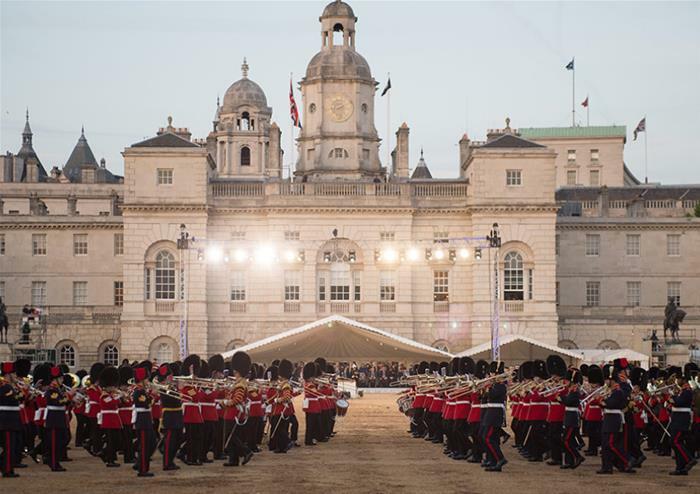 Dating back to the 1690’s, the Military Beating Retreat concerts have been a long tradition. The signal of the drum beating was once used to order troops to stop fighting and go to the safety of camp at nightfall. Later on, the beating of the drum told the troops that the camp gates were closing and to make their way back. In modern day, the Beating Retreat is an evening military concert that celebrates this long tradition with a marching display. 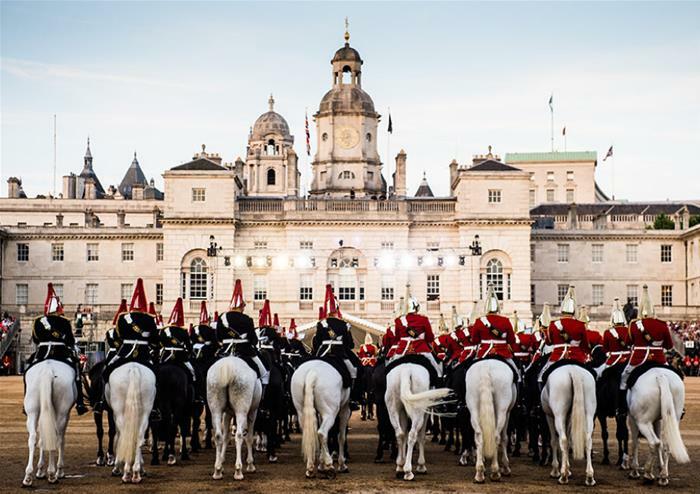 The Horse Guards Parade is the perfect location for the Beating Retreat concert with its rich history and iconic place in British culture. 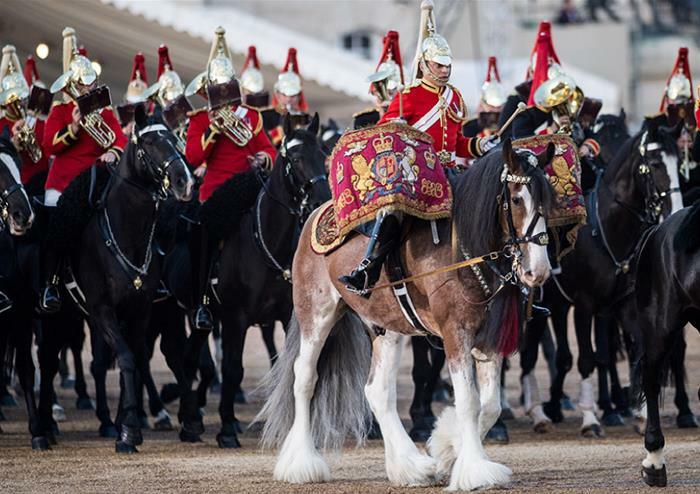 Just off of Whitehall, the Horse Guards Parade is the chosen place for many annual events including ‘Trooping of the Colour’ which celebrates the Queen’s official birthday date and official parades. It was once the Headquarters of the British Army and has an array of monuments dedicated to the military outside of the parade ground. The spectacular evening concert will be a patriotic celebration with music from The Mounted Band of the Household Cavalry, The King’s Troop Royal Horse Artillery, the Royal Choral Society, and guest performers The Band and Pipes of the Royal Guard of Oman and The Pipes & Drums of The Argyll and Sutherland Highlanders of Canada. 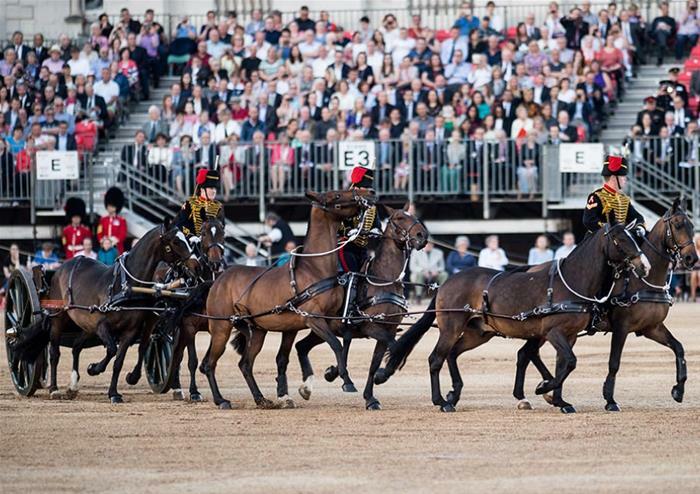 As well as music, you will be treated to military precision drill with horses and cannons and a sensational fireworks display to end the evening. This is confirmation of your booking only. This is not your ticket for entry. Your ticket will be emailed to you by our Reservations Team.